A renaissance is underway in parks, recreation, and quality open spaces in many corners of Greater Miami. The Miami Foundation’s Public Space Challenge has encouraged citizens across our community to contribute their best ideas for improving their neighborhood parks and favorite public places. From new outdoor exercise equipment specifically designed for the disabled, to art installations on the sides of prominent buildings, every Miamian is finding a way to contribute to the beauty of our landscape. More ambitious efforts are in the works as well. The Underline is transforming the underused asphalt trail underneath Miami’s Metrorail into a world-class 10-mile linear park. Just west of it, the Ludlam Trail will convert an abandoned railroad track into a 6.2-mile linear park through the heart of Miami-Dade County. Further north, the Miami River Greenway is forming an urban greenway from the mouth of the Miami River in Downtown Miami to the Dolphin Expressway near the Civic Center area and, ultimately, all the way to Miami International Airport. On the north bank, the walk is referred to as the Miami Riverwalk and extends to Bayfront Park, with desires to eventually connect as far north as the Julia Tuttle Causeway and the City of Miami Beach. To the south, it will eventually connect to Rickenbacker Causeway and the Village of Key Biscayne. Plan Z for Miami aims to transform the single-purpose causeway, one of Florida’s most popular recreation spots but also one of its least safe, into Rickenbacker Park, a scenic asset for runners and bicyclists. The most exciting aspect of these initiatives? They connect! The Underline and Ludlam Trail intersect in East Kendall and then weave into the Miami River Greenway and the Miami Riverwalk at north and Rickenbacker Park on the south. 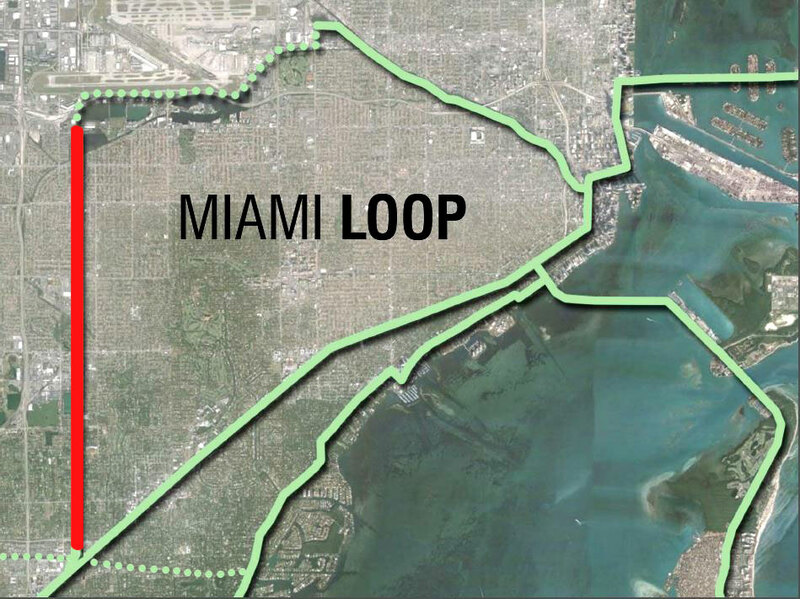 When combined, these segments form the Miami Loop, a scenic 20+-mile-loop connecting the northern, southern, eastern, and western parts of our Greater Miami community. It would be the envy of outdoor enthusiasts the world over. But best of all, it would be right here in our backyards, easily accessible by Miami residents year-round. Let’s all enjoy the Miami Loop!